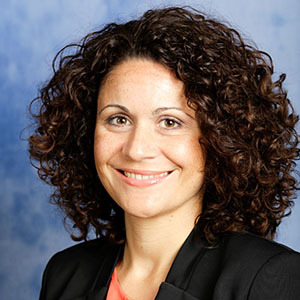 Alessandra is Senior Advisor at Rationis since March 2019, supporting the implementation and business development of software solutions on portfolio construction, risk management and portfolio monitoring for asset owners and asset managers. Before joining Rationis, Alessandra served as Head of Investment consultant at Willis Towers Watson from 2012 to 2018, responsible for asset allocation, risk management and manager selection for major institutional clients in the Italian market. Previously, she was Chief Investment Officer at CNPADC Pension Fund from 2006 to 2012, responsible of managing the portfolio for liquid assets. Alessandra started her career in Dublin, in the DB actuarial team of Irish Life Insurance, followed by nearly six years in Pioneer Investment Management, working manly at asset liability management, portfolio construction and manager selection. Alessandra holds an honours degree in Economics from La Sapienza University in Rome, a Masters in Quantitative Finance from the University of Dublin and an MBA from Luiss University in Rome. She is based in Rome.